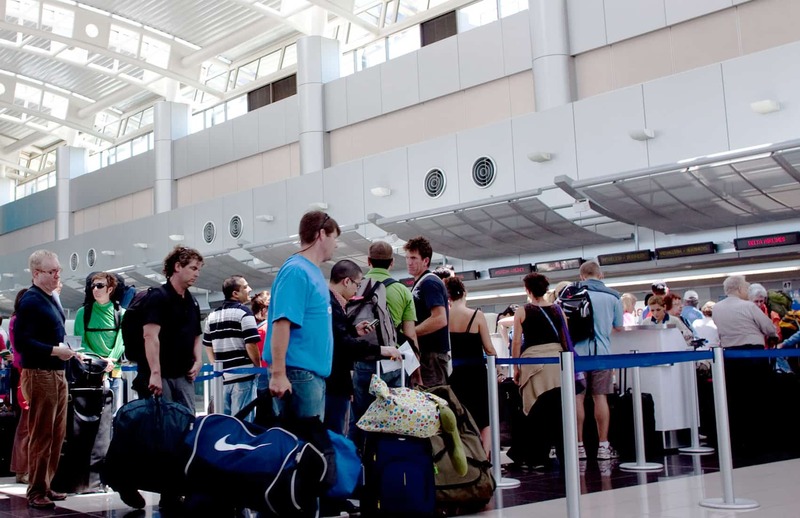 Following the announcement last week that Costa Rica’s $29 airport exit tax will be rolled into the price of airline tickets beginning Dec. 3, Bancrédito officials have clarified that they will continue collecting the tax at airport counters for at least 90 more days to facilitate travelers who already purchased tickets. According to Bancrédito General Manager Gerardo Porras, it will take some airlines at least three months to implement the new ticketing system. For tickets purchased after Dec. 3, some carriers already will include the tax in prices. For other airlines, the process will take longer, and travelers can pay the tax at the airport. Bancrédito will continue to manage collection of the tax at the country’s international terminals – Juan Santamaría outside of San José and Daniel Oduber in Liberia, Guanacaste. Travelers also can pay the tax at bank branches in other provinces, the Finance Ministry confirmed to The Tico Times in a written response. Eventually, Bancrédito’s airport counters will be converted into bank branches “where we will offer regular services such as currency exchange and ATMs,” Porras said. A large number of carriers already have signed contracts with Bancrédito to begin collecting the exit tax along with ticket prices, and they currently are testing the online system by which payments will be reported to the bank, the Finance Ministry, the Immigration Administration and the Foreign Ministry, he added. All revenue from the exit tax is used by Costa Rica’s Civil Aviation Authority exclusively for the expansion and modernization of the country’s airports.